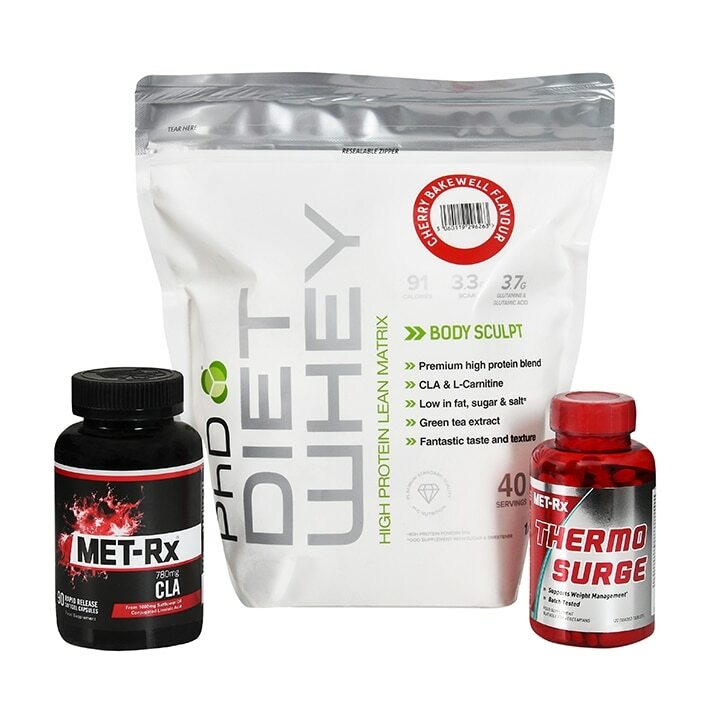 Our stack of three popular weight management supplements combine ingredients including Whey Protein Concentrate to aid satiety, CLA and L-Carnitine to help generate metabolic energy, Green Tea Extract & Flaxseed to help lower cholesterol levels, and Thermo Surge containing Cinnamon, Dill Weed and Ginger to help aid digestion. Take two tablets thirty minutes before breakfast and another two tablets thirty minutes before lunch or afternoon meal. Do not take later than 4pm. A maximum of four tablets should be taken per day and should not be combined with other stimulant based products. Do not exceed stated dose. This product contains high levels of caffeine and other stimulating ingredients. To assess tolerance, users should take half a tablet (half dose), twice a day for the first 7 days. Aviod taking within 5 hours of bedtime if prone to insomnia. Ensure adequate hydration during and after training - Minimum of six to eight glasses of water daily. 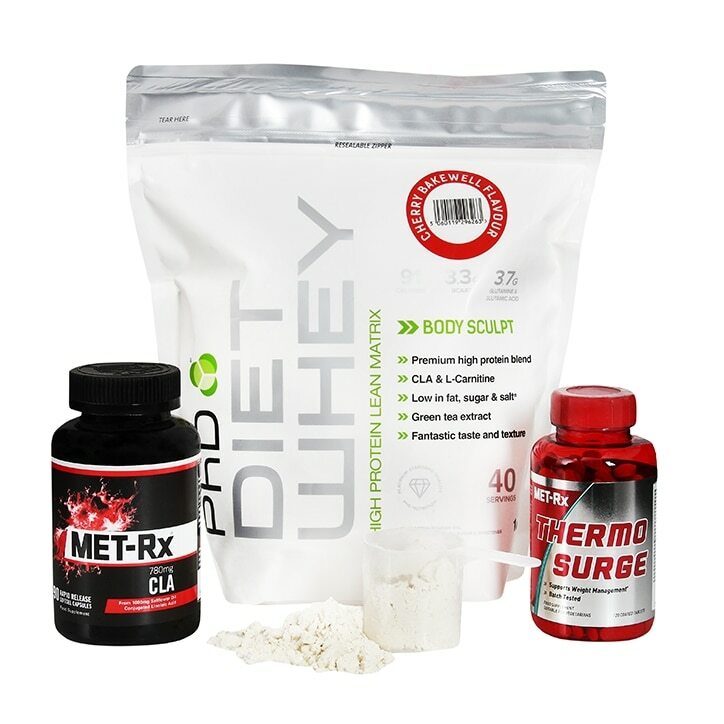 Dicalcium Phosphate, Bulking Agent (Microcrystalline Cellulose), Ginger Root Extract (Ginger Root Extract, Maltodextrin), Yerba Mate Extract (Yerba Mate Extract, Maltodextrin), Guarana Extract (Guarana Extract, Maltodextrin, Caffeine Anhydrous), Dipotassium Phosphate, Anti-Caking Agents (Silicon Dioxide, Magnesium Stearate, Stearic Acid), Magnesium Oxide, Cinnamon Bark Extract (Cinnamon Bark Extract, Emulsifier (Acacia Gum)), Vitamin C (as Ascorbic Acid), Sodium Carboxymethylcellulose, Glycerine), Caffeine Anhydrous, Dill Weed Extract, Maltodextrin, Emulsifier (Polysorbate 80).